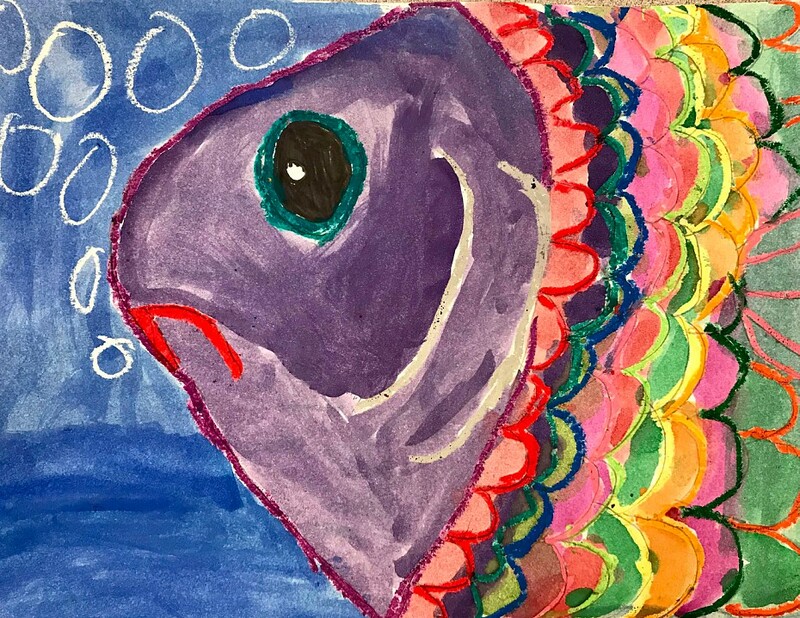 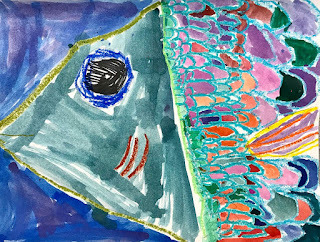 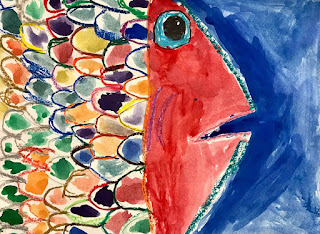 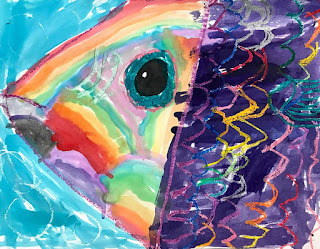 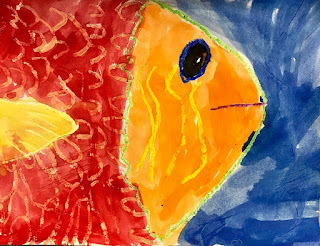 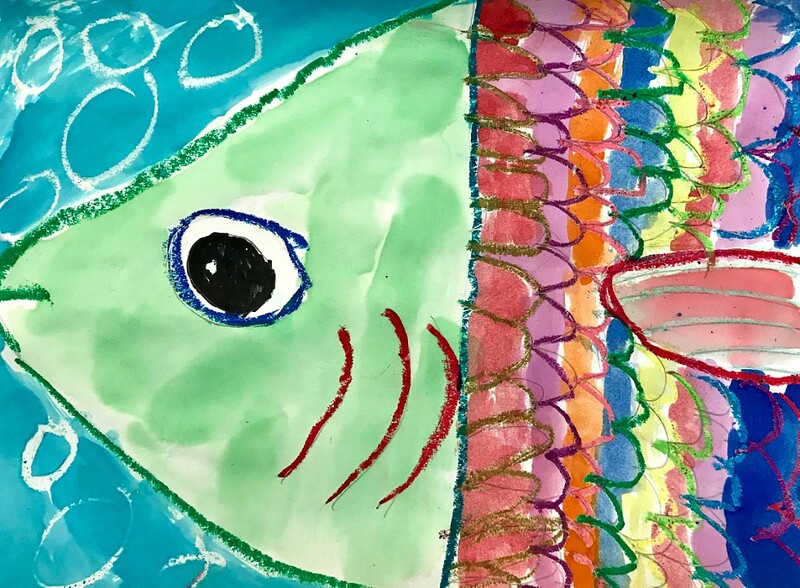 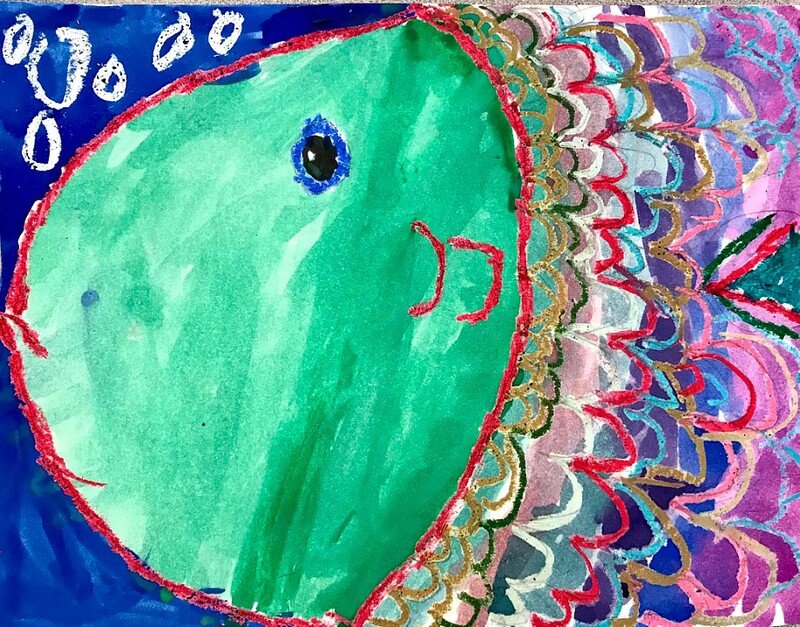 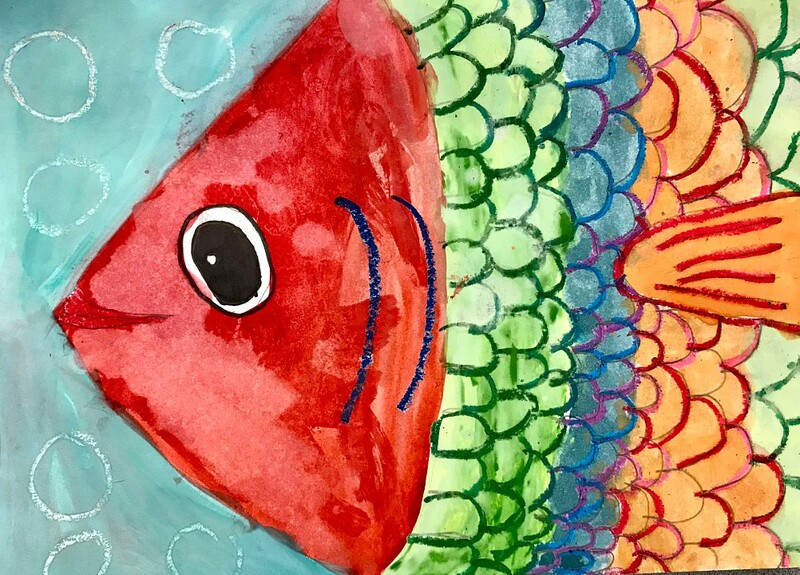 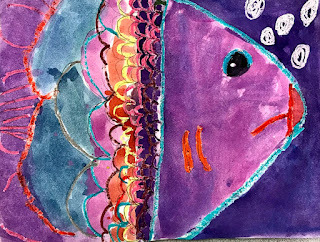 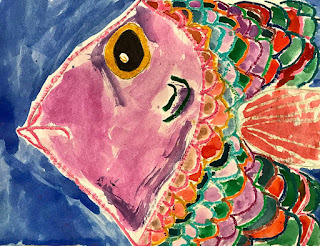 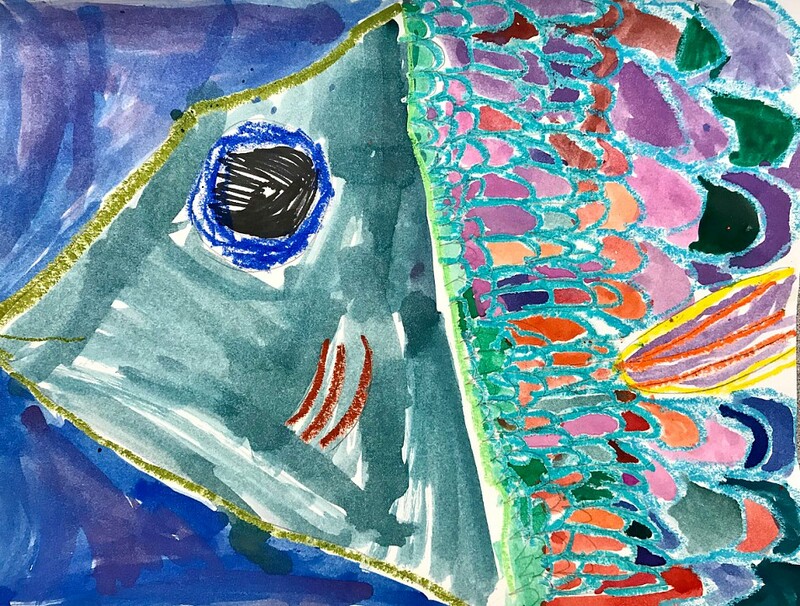 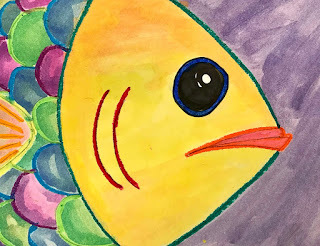 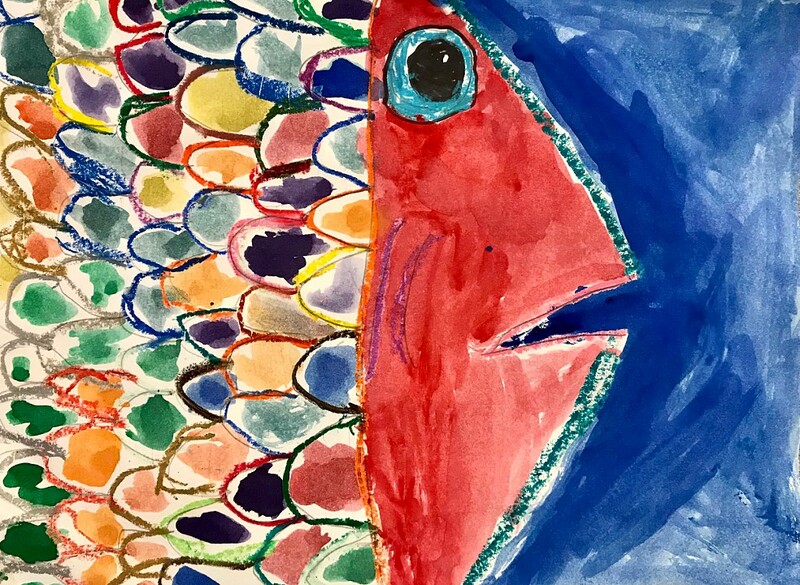 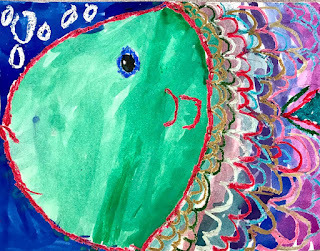 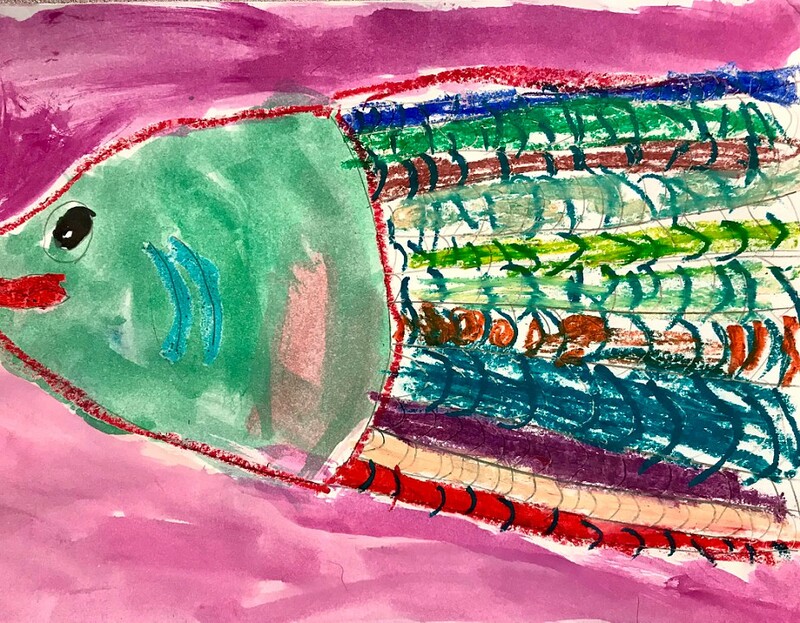 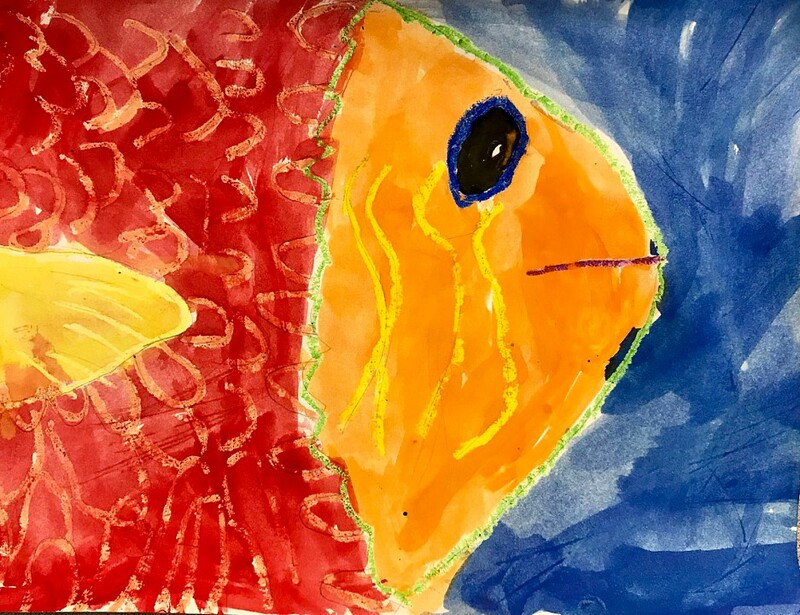 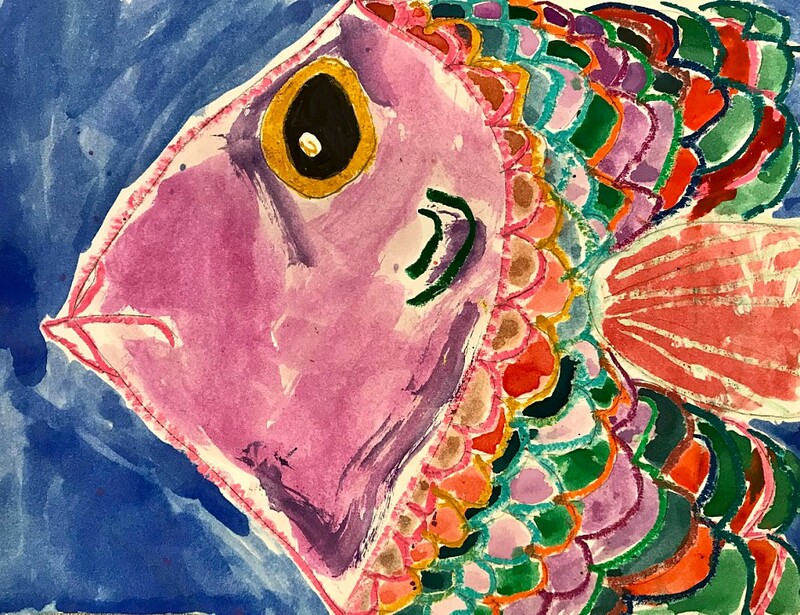 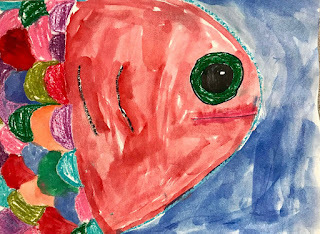 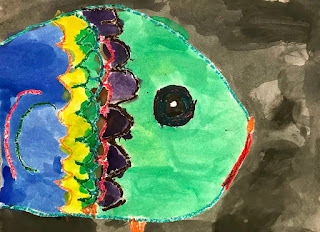 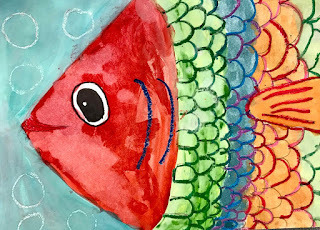 This is such a great lesson to teach Close Up and Enlargement during a watercolor lesson while incorporating crayon resist. Hope you all have had a great summer as it is coming to an end...Thought this would be a fun post as we celebrate Shark Week! Cathy did a fabulous job with explaining the use of the whole page and composition too! 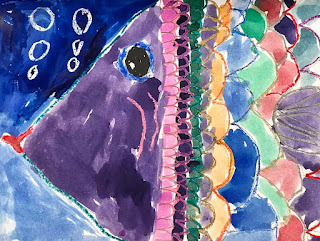 The patterns and colors made for a fantastic piece of art as well as a great summer bulletin board.